It is hot and humid here in Virginia Beach right now. And this time of year, we often hear about dogs (and sometimes children) left in hot cars. 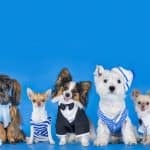 I wonder, what are those pet parents thinking? Do they not care what happens to their fur kids? Or are they just ignorant and think they will be fine? According to this video, the Good Samaritan Law will protect you if a child is in distress in a hot car, but unless a state has a law in place for pets, the Good Samaritan Law doesn’t cover animals. It should, but it doesn’t. But what are the consequences? 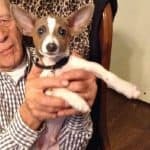 There have been cases where someone broke into a car to save a dog and ended up getting arrested for doing so. First of all, at the time of this writing, there are 26 states in the US that make it illegal to leave a dog in a hot car. Can you believe it? Only 26 states. 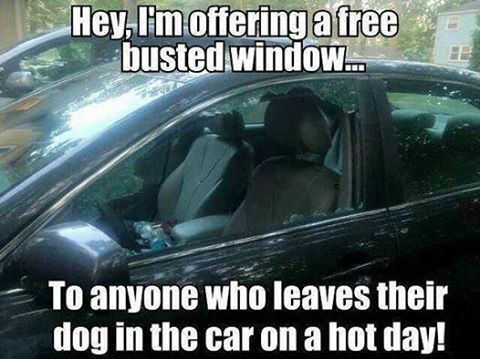 And even in those states, it doesn’t necessarily mean you are free to break into the car to save the dog. Those states are: Arizona, California, Colorado, Delaware, Florida, Illinois, Indiana, Maine, Maryland, Massachusetts, Minnesota, Nevada, New Hampshire, New Jersey, New York, North Carolina, North Dakota, Ohio, Rhode Island, South Dakota, Tennessee, Vermont, Virginia, Washington, West Virginia and Wisconsin. You can see what those laws are for each of those states here. You can make paper copies of this by clicking the PDF here and then print them from your computer. So what can you do if you see a dog in a car on a hot day? First it’s a good idea to have the phone number of your police department’s non emergency phone number programed in your phone, or keep it in your wallet. Also keep Animal Control’s phone number with you too. You may also want to have some info sheets (PDF’s provided above and below) to give out that you keep in your glove compartment. If it’s really hot or the dog looks to be in distress, go ahead and call these numbers and give them the details. 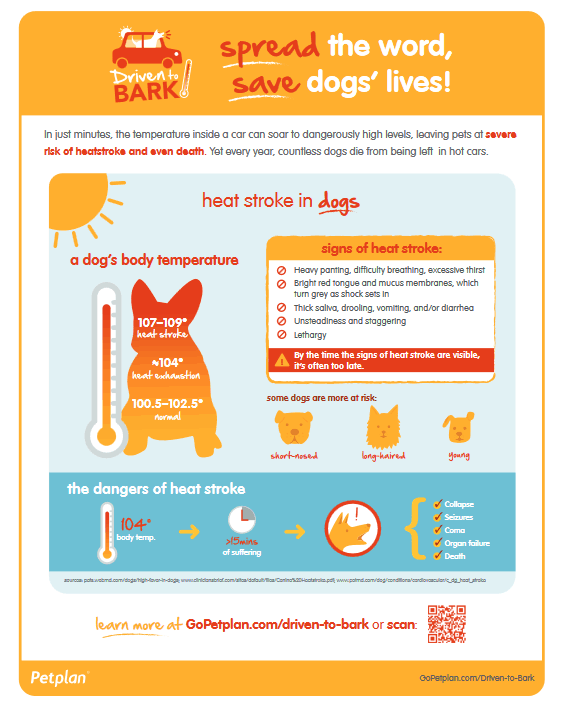 You can get the PDF here: signs of heat stroke. 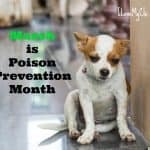 If the dog doesn’t look to be in any distress yet, get the details about the car (make, model, license number, color) and go into the nearest building and ask the manager to call them to their car over the loud speaker. Go back to the car and wait for the owner to come out. If they don’t within a few minutes, go ahead and call those numbers and report it. While you are waiting, you may want to take some photos or video for evidence if needed. In the video, mention the time you found the dog, the temperature if you know it, and any other details you can think of. When the owner comes out, don’t get into a confrontation with them, but do let them know that you were worried about their dog in the heat and have called the police (if you already have called them). 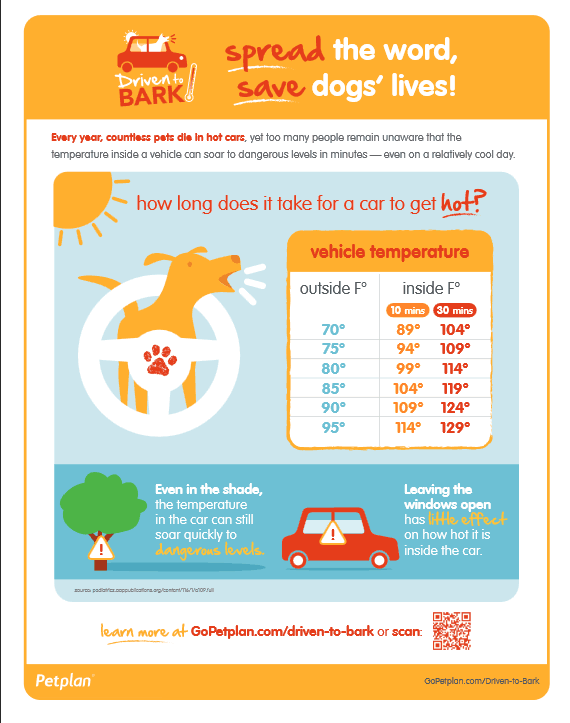 To help them realize what the danger is you can give them a paper copy of the PDF: How Hot it Gets in a Car if you made some ahead of time. So what do you do if the dog is obviously in distress, and it doesn’t seem like the owner or the cops are in any rush to get there? I can’t tell you to break into the car to get the dog out but I believe that’s what I would do to save the dog. Yes, I may get in legal trouble but I don’t think I could live with myself if I watched a dog die while I did nothing. First though, before breaking in, I’d check to see if the doors were even locked. If you don’t want to go to that extreme, you could call 911 now (instead of the non emergency number) and tell them the dog is dying. They may get a cop out there faster or tell you to go ahead and get the dog out. 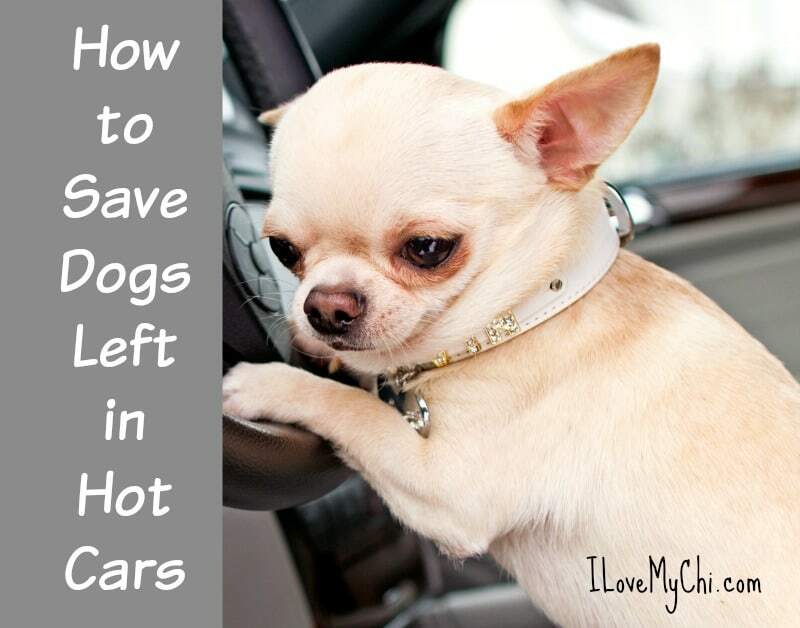 So what would you do if you come across a dog in a car on a hot day? Or has it already happened? What did you do? Tell your mom she’s a hero in my book! I’m so disappointed that Oregon isn’t on this list. I was talking about this law with a friend this week and how forward looking so many states are now, who would DO this? How can folks not think their dogs will be in the hospital if left in their car… I have come close to breaking into someone’s window but luckily I found them in a nail salon. I’m surprised Oregon isn’t on the list either Christine. But they may be soon. When I first started researching this article, there were just 16 and now it’s 22. I really do not understand these people! It’s stated everywhere that it’s extremely dangerous (it’s ALL over social media), so I think these people are just ignorant!! I recently saw a dog in a car, with the window 1 inch open, like that will prevent your dog from getting a heat stroke? I didn’t know what to do since I’m scared to break someone’s window! Thank you for these amazing tips, I’ll def print the pdf and keep it on me!! Glad it helped Valerie! Yeah I don’t understand how people don’t know how dangerous it is either. We rarely see dogs in cars this time of year. Our city actually has a law against leaving a dog in the car. It is so dangerous. It’s another reason we are not fans of summer as we can’t go along much when Mom runs errands which is a bummer. I wish more cities had that law Emma! And don’t worry; Fall will be here before you know with cooler weather and you can start helping mom go on her errands. I’m surprised that CT isn’t on this list, we have an animal advocacy group that lobbies for strict animal laws. They were instrumental in pushing for not allowing dogs to be tethered outside 24 hours per day. Also for providing water, food and shelter for outside dogs. Maybe they will be on the list soon Jodi. I’m kind of surprised they weren’t on there either. Unfortunately you can’t fix stupid! Legal or not, I’m busting Windows!!! I think these people need to put on a fur coat and sit in the car with the windows cracked. Maybe THEN they’ll understand! I agree Sheena. It’s amazing how many people are clueless about this.